New design breaks down for easy travel! We redesigned the base shaft to break down into two parts, making it easy to pack this up and take to ski events, or to store it at home between waxing sessions. Compressed Length: 117 cm (46 inches) Extended Length: 212 cm. 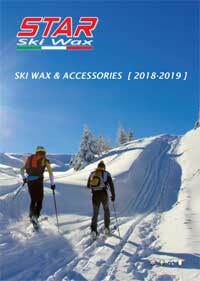 Ski Sizes: Skis from 140 to 212 cm long, 40 mm wide to 100+ mm wide. Materials: Anodized aluminum and stainless steel. The tops of the ski forms have solid rubber high friction surfaces. Construction: The high strength U shaped aluminum ski forms and the binding gripper slide in dual side channels on the rugged aluminum base frame. The same frame used in V2-XL900 roller ski shafts. Adjustment time: 20 seconds. We have made some time studies of how long it takes to remove a ski from the form and install a new ski that is of a different size and after some practice the average time was about 20 seconds. If you are going from a very long to a very short ski, it can still be accomplished in under 30 seconds. Mounting the Ski Form to a table: Two standard C clamps hold the aluminum extruded base unit to a bench or ski table. The clamps never have to be moved as they stay in the same position for skis from 212 to 140 cm. Binding Gripper: The gripper engages the triangular steel loops that can be pre mounted to the binding. The gripper is designed so it slides on the frame and engages the steel loop and securely locks the ski. The sliding gripper has vertical adjustment via a threaded stud. Adjustment is easy and rapid as can be seen in the Video.